Premium Classixxs Mercedes Benz L408 1972 Porsche Red 1/18 Scale New! In Stock! 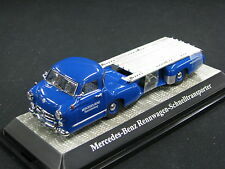 Premium Classixxs Mercedes Benz LP 608 Martini Wrecker Service 1:18*New Item! Premium Classixxs 1972 Mercedes Benz L 408 Jagermeister Racing Team 1:18 *New! Premium Classixxs Mercedes Benz LP608 Service-LKW “Porsche” Red 1:18 *New! This page was last updated: 24-Apr 13:47. Number of bids and bid amounts may be slightly out of date. See each listing for international shipping options and costs.